2. Heat a Dutch oven or heavy stock pot over medium heat and add oil. 3. Working in batches, brown the cubed elk venison meat. Remove meat and set aside when done. Add the sausage links and brown on all sides. 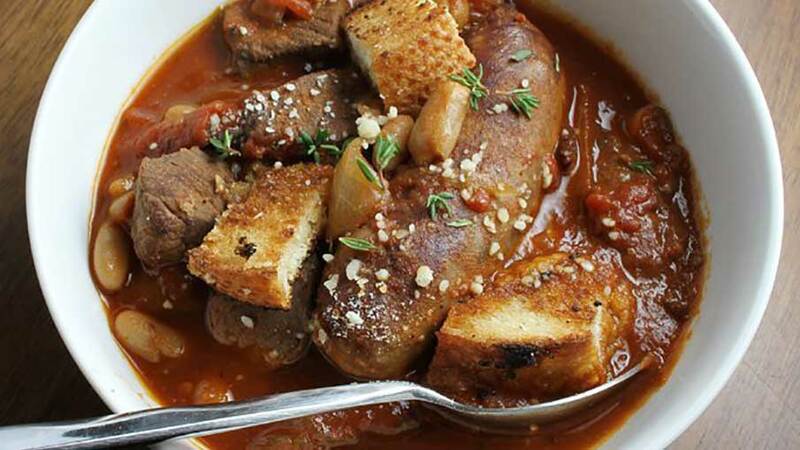 While cooking the sausage links, add the onions and garlic, being sure to stir often. 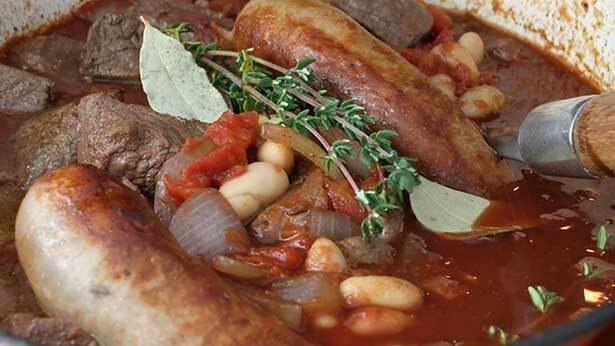 Carefully add remaining ingredients to the pot along with the braised elk venison meat. Cover with a lid and bake for 5 to 6 hours. 4. Serve each bowl with toasted homemade croutons, sliced French bread and a bit of grated Parmesan cheese. 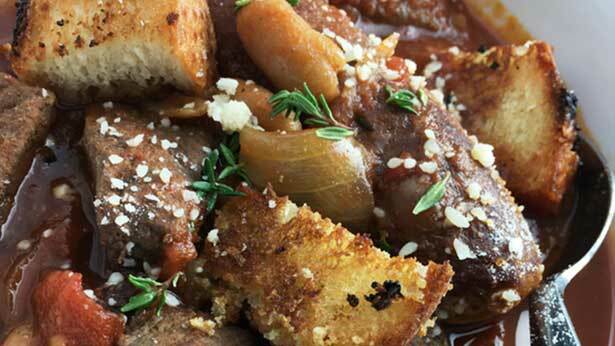 For more elk and venison recipes, visit NevadaFoodies.com.